Snowmobile trails at Letchworth State Park offer more than 25 miles of trail passing through some of the most beautiful scenery in Wyoming and Livingston Counties. The corridor trail (C3) extends through most of the length of this 17-mile-long park. Entering the park in the North from the Genesee Valley Greenway, the corridor trail follows along the main park road. Between the Perry and Castile entrances, the trail is the main park road. This stretch of the corridor gives riders spectacular views of park gorge overlooks not seen by many patrons during the winter months. On the corridor, south of the Castile entrance, riders can view the iconic Archery Field Overlook of the Genesee River Gorge. Continuing south, the corridor trail passes by the Humphrey Nature Center and Trailside Lodge where it then traverses the mature oak-hemlock forests of the park. 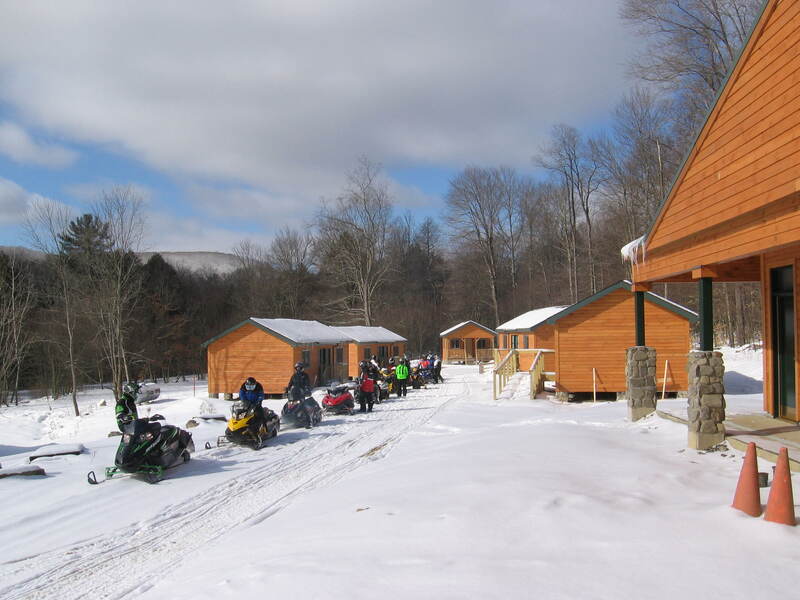 Parking areas to offload snowmobiles are located at the Highbanks Recreation Area, the Highbanks Campground Parking Lot, and at the Trailside Lodge. 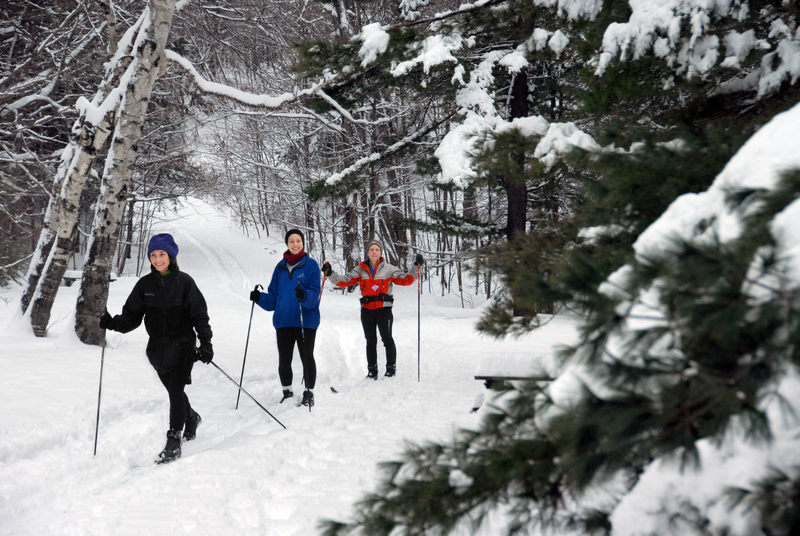 The South Highbanks Shelter and Trailside Lodge are available as winter warming shelters with comfort stations available nearby. Riding at night requires a Genesee Region night time snowmobile riding permit. For more information regarding snowmobiling, winter accommodations, trail conditions, and permits online or call the Letchworth State Park Visitor Center at (585) 493-3600. State Parks reminds all snowmobilers that their machines must be registered and insured to enjoy the trails in Letchworth State Park and the over 10,000 miles of additional trails throughout the state. The bulk of the registration fees is directed to the many volunteer-run snowmobile clubs across the state for trail development and maintenance. For information on joining a snowmobile club, visit New York State Snowmobile Association. – Young riders are required to attend a snowmobile safety course, but all riders can benefit from safety education. State Parks maintains a list of snowmobiling safety classes, check for course availability and age requirements. – Use the buddy system, leave a travel plan, and emergency contact information with someone at home. – Wear proper clothing and remember that helmet use is required whenever operating a snowmobile. Using of a rigid chest and back protector is also recommended. Grafton Lakes State Park is another great place to go snowmobiling. Grafton Trail Blazers will be offering free snowmobile rides during WinterFest, January 27, 2018.